Instead of filling in a bracket, you vote online to determine which brand advances to the next round. 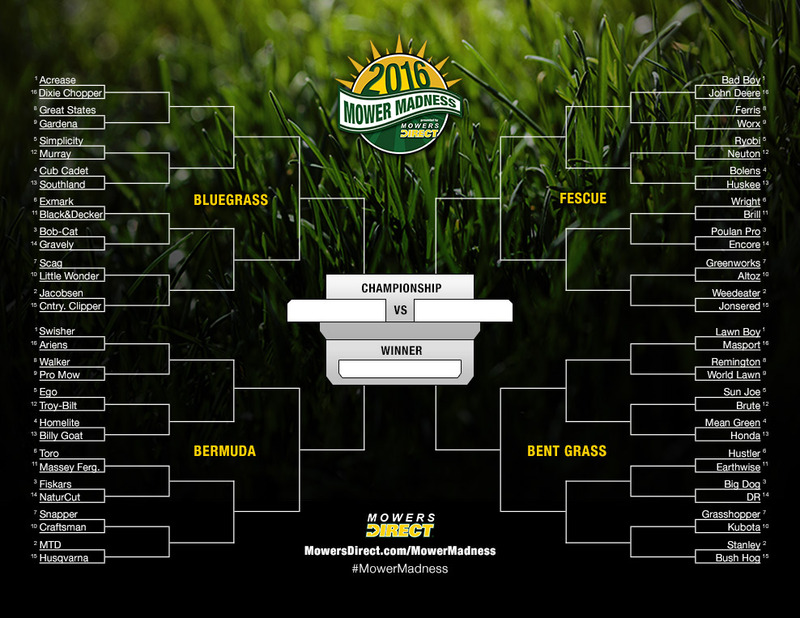 Mowers Direct kicks off its third annual Mower Madness tournament - a three-week social media event determining the most liked lawn mower brand in America. The tournament starts with 64 of the best lawn mower brands in America. Using bracketology, they face off against each other in a six-round, single-elimination tournament. "Instead of filling in a bracket, you vote online to determine which brand advances to the next round," said Jon Hoch, founder of Power Equipment Direct. "The last brand standing earns the honor of being crowned the 2016 Mower Madness Champion."